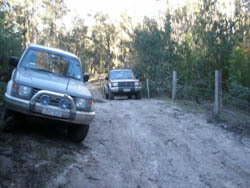 B3 Road has a combination of ruts, mud and some hills, nothing overly steep or difficult. One section of the track is sandy, but not too deep and is relatively easy. Good track for beginners and those exploring the area and the surrounding tracks.